Heather Grey, two-button, side-vented jacket in light-weight Super 100’s wool blend. 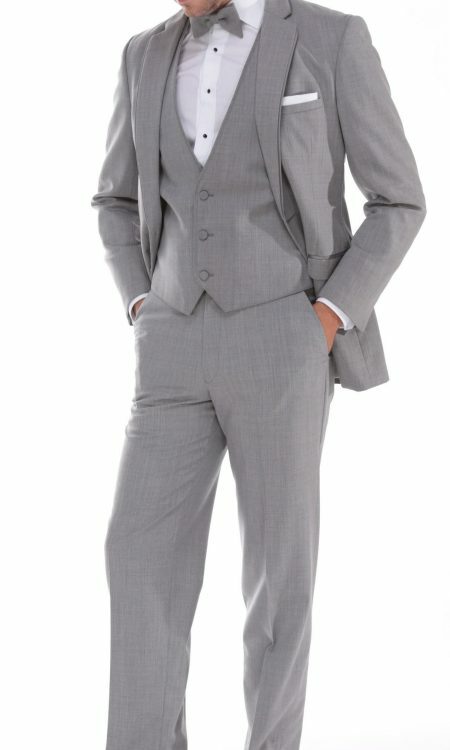 Soft notch lapels with satin pipe trim on lapel and collar and self-fabric flap pockets. 30.5” coat length. 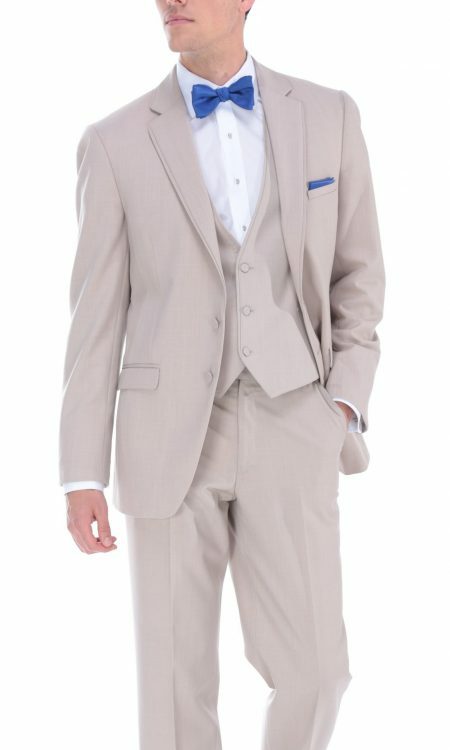 Tan, two-button, side-vented jacket in light-weight Super 100’s wool blend. 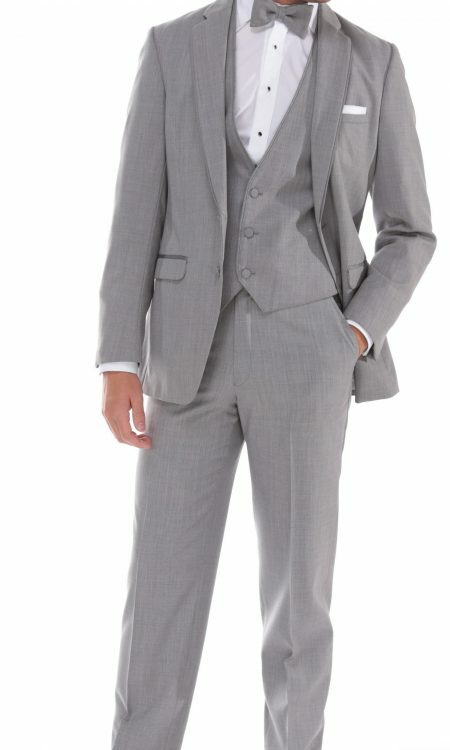 Soft notch lapels with satin pipe trim on lapel and collar with self-fabric flap pockets. 30.5” coat length. 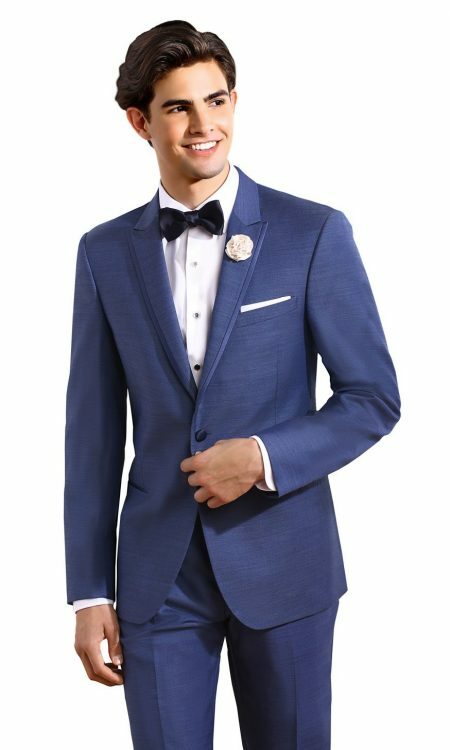 Slate Blue, two-button, side-vented jacket in light-weight Super 100’s wool blend. 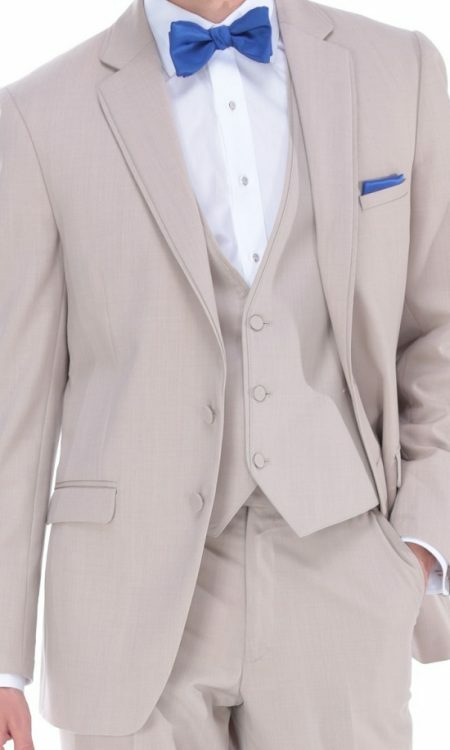 Soft notch lapels with satin pipe trim on lapel and collar and self-fabric flap pockets. 30.5” coat length. Charcoal grey, two button side-vented jacket in exceptionally soft Super 120’s wool. 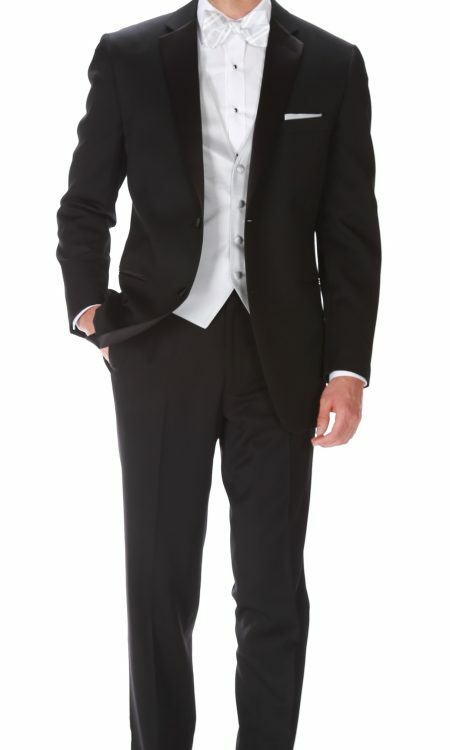 Black inset satin notch lapel with self- collar and black satin trim besom pockets. Superior comfort with 2” stretch arm gussets. 30.5” coat length. 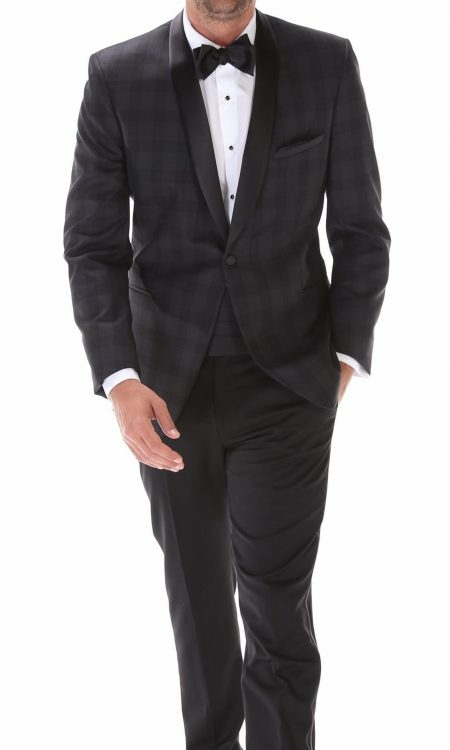 Black and charcoal plaid, one-button, center-vented shawl lapel jacket. Black satin shawl collar with black satin trim double besom pockets. Superior comfort with 2” stretch arm gussets. 29” coat length. 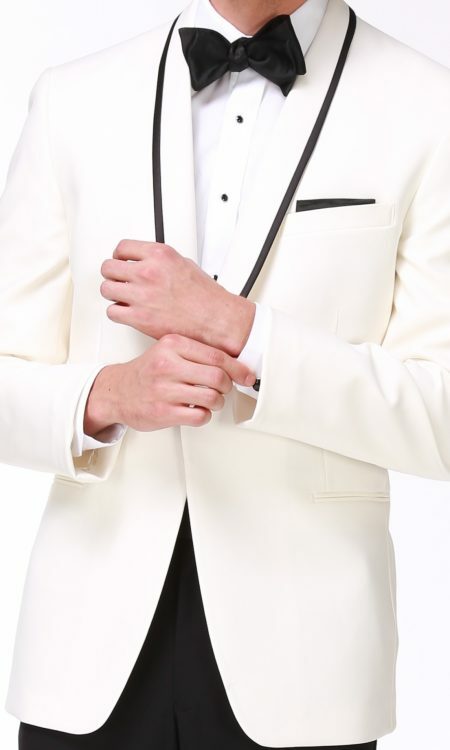 White, one-button, center-vented shawl lapel jacket. Black satin trim on shawl collar and white satin trim double besom pockets. Superior comfort with 2” stretch arm gussets. 30.5” coat length. 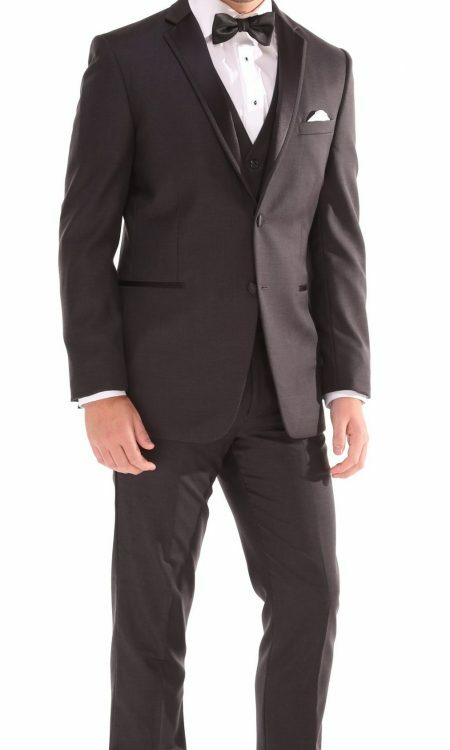 Black, one-button, center-vented shawl lapel jacket in exceptionally soft Super 120’s wool. Black satin trim on shawl collar and black satin trim double besom pockets. Superior comfort with 2” stretch arm gussets. 30.5” coat length. Burgundy, one-button, side-vented jacket in exceptionally soft Super 120’s wool. 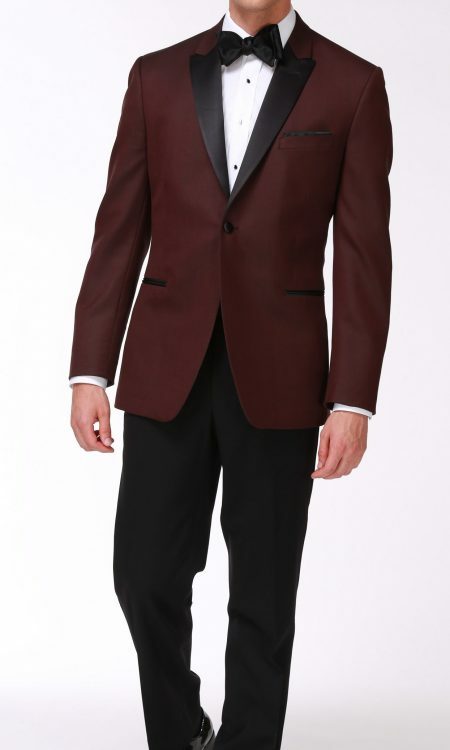 Black satin peak lapels with burgundy self- collar and black satin trim double besom pockets. Superior comfort with 2” stretch arm gussets. 30.5” coat length. 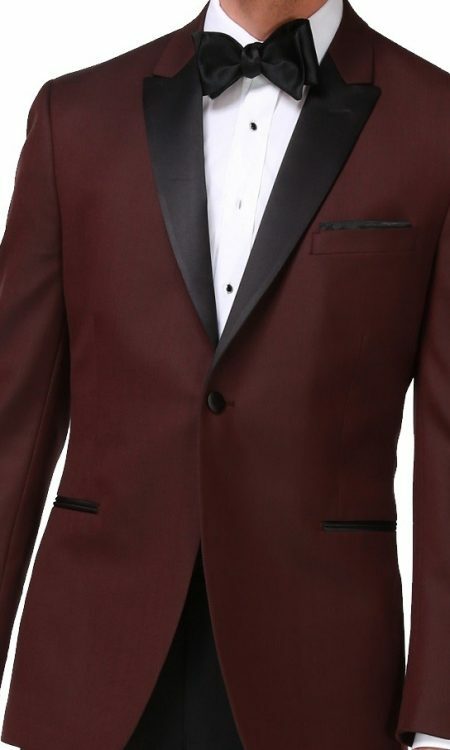 Available Fits: Modern Fit Classic Fit Trim Fit Fashion Note: For a sharp look, set off the burgundy coat with black pants. Dusk blue, one-button, side-vented jacket in exceptionally soft Super 120’s wool. 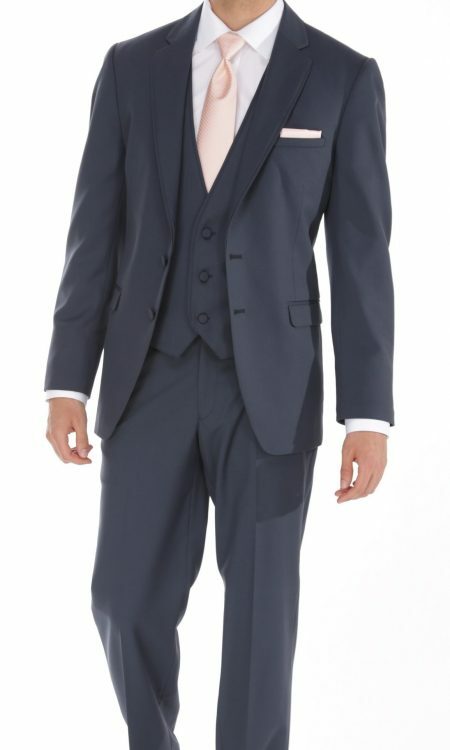 Dusk blue satin edge peak lapels with self- collar and satin trim double besom pockets. Superior comfort with 2” stretch arm gussets. 29” coat length. 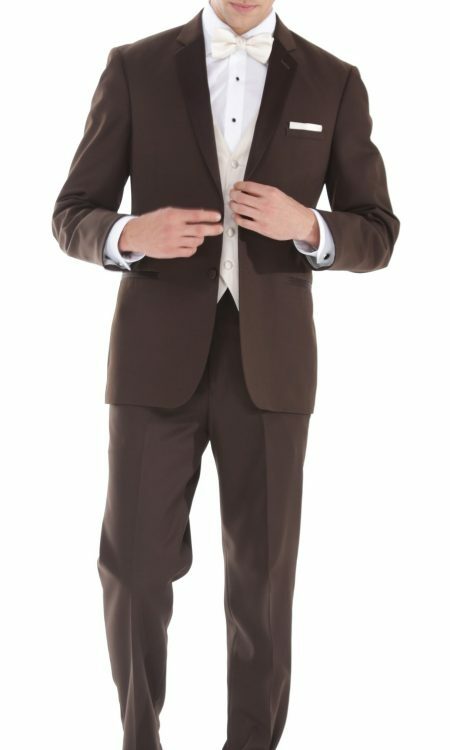 Brown, two-button, non-vented jacket in exceptionally soft Super 130’s Ridge fabric. 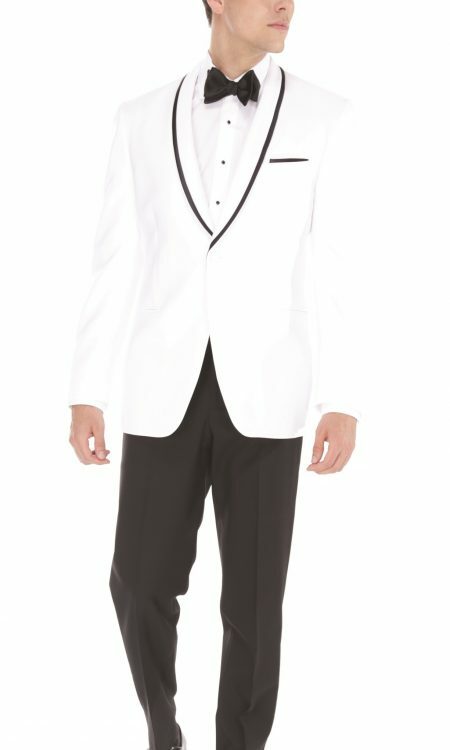 Satin notch lapels with self-collar and satin trim double besom pockets. 30.5” coat length.